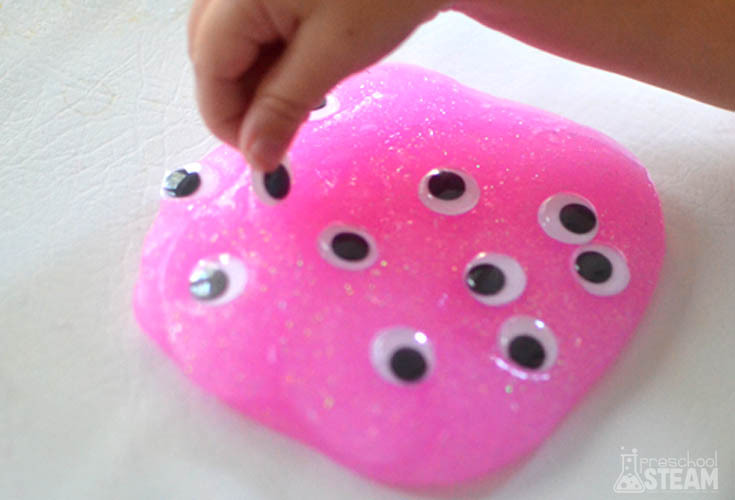 This monster slime recipe is a fun way to integrate sensory play into your learning environment. Sensory play is an important building block of the scientific process for young learners. Preschoolers use their senses to understand the world around them. Sensory play is important because it is how young learners begin to naturally use the scientific process. Preschoolers use their senses to understand the world around them. Slime is an engaging hands-on way to integrate sensory play into your learning themes. Make your slime. Here is our favorite recipe! 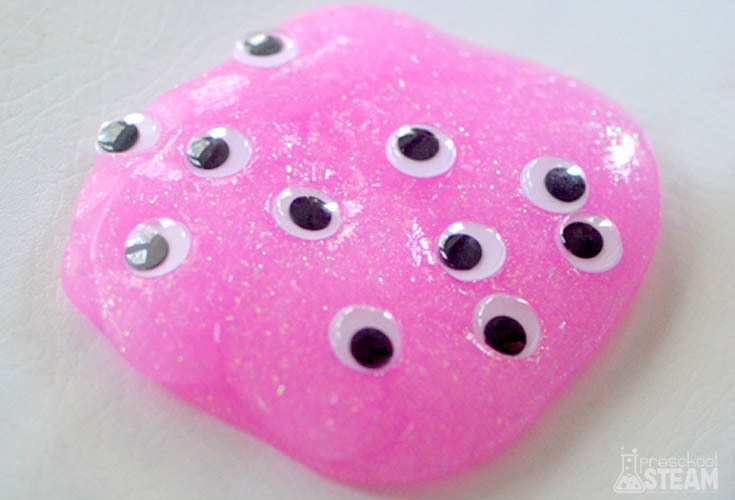 Add googly eyes to the slime. What happens to the eyes in the slime? Try to pick all the googly eyes back out of the eyes. How many can you get? 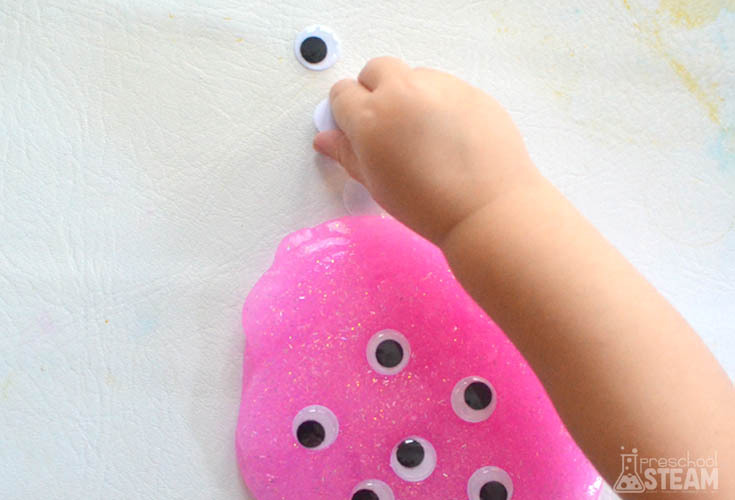 Try adding pipe cleaners to make your own slime monster! Draw a picture to record your own slime monster. Don’t forget to give it a name! 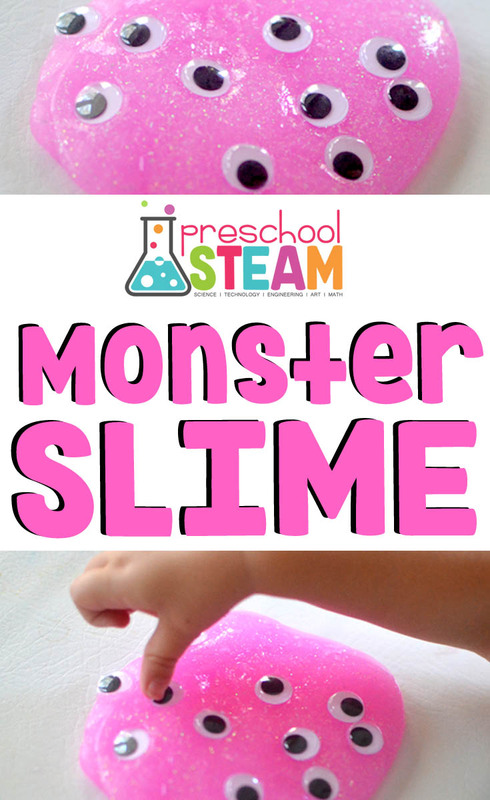 Click here to view all our favorite easy slime recipes!